If you want to learn to Stand-Up Paddle Surf or get more experience in the surf, then this is the clinic for you. We are heading across the state to relaxing Banana River Resort in Cocoa Beach, FL. Banana River Resort is a paddler's dream location. 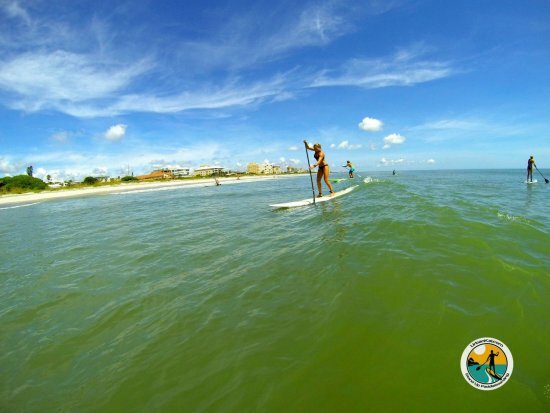 This hidden gem is nestled between the Banana River and the Atlantic coast. Hence you can paddle and down wind on the river's flat water or take an easy walk across the street to surf on the Atlantic. Saturday, July 29th, we will be hosting a Surf Clinic from 7:30 am - 10:30 am ($40 BYOB/$75 if you need a board). If you are interested in signing up or you need a room for Friday or Saturday night, please email contact@urbankai.com or call (813)598-1634 to reserve. You must reserve your room through us and not Banana River Resort because we have rented the resort for the weekend. Space is limited so reserve your room today! This is going to be a really fun weekend getaway so come join us! Includes board and equipment. Price reduced to $40 if you have a board.